It adds previous two numbers value to compute the next number value. 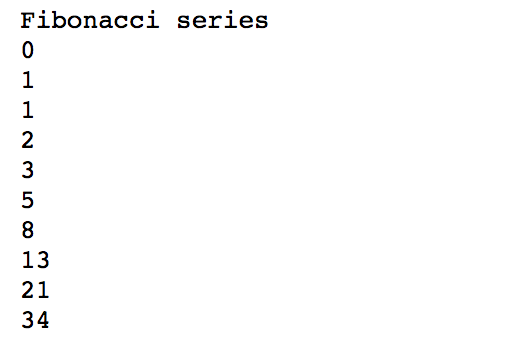 In this program fibonacci series is calculated using recursion, with seed as 0 and 1. Recursion means a function calling itself, in the below code fibonacci function calls itself with a lesser value several times. An termination condition is very important to recursion function, i.e n == 0 and n == 1 or the recursive call would be infinite leading to stack overflow error.